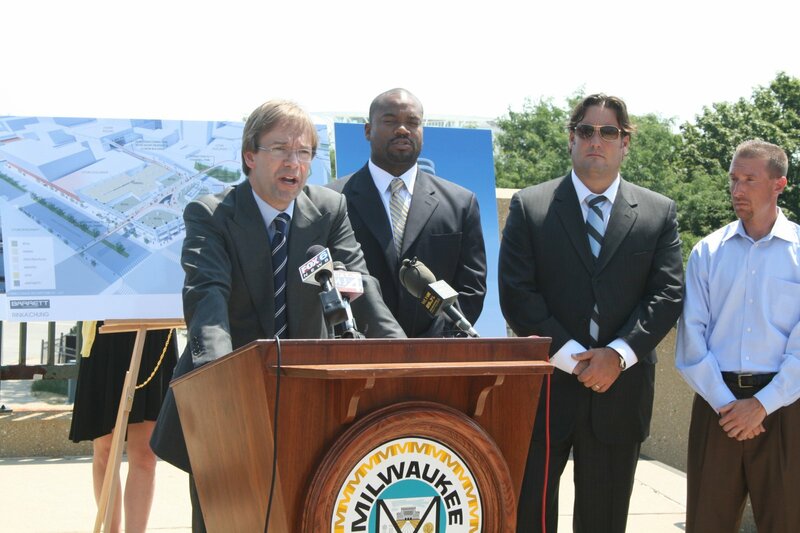 A doormat a decade ago, the board is now far more powerful -- much to Chris Abele’s chagrin. Given that Milwaukee has had a county executive since 1960, you’d think there would be clear lines of responsibility between the executive and county board. In fact, those lines are rather fuzzy, and keep changing, which is why you keep seeing headlines about power battles and bickering between the Milwaukee County Board and County Executive Chris Abele. Board members told me that Ament, who had formerly served (1976-1992) as county board chair, actually had more power over the board than Karen Ordinans, the board chair at the time. “Tom has a lot more influence than Karen, a lot more power,” Supervisor Jim (Luigi) Schmitt told me. Much of that power was due to Ament’s mastery of all the details of county government and his skill at handling people (talents which have been completely obscured by his disgrace over the pension scandal). But Ament also had more power structurally. For instance, he had control of intergovernmental affairs (staff who lobby the state and federal government for more funding) and power over the Community Development Business Partners office (which reviews contracts and procurements for compliance with goals to do business with companies headed by minorities or women). Ament was succeeded by Scott Walker, who seemed weirdly unconcerned about preserving executive power. Where Ament had near total control of the board, Walker had little clout with it. In eight years as county exec, he used the veto 204 times, or about 25 times a year. His vetoes were overridden all but 65 times, or more than two-thirds of the time. I doubt you’d find an executive in Wisconsin history with a greater percentage of vetoes overthrown. It almost never happened to Ament or Mayor John Norquist or former governors Tommy Thompson or Jim Doyle. Lee Holloway, who served as county board chair during Walker’s entire tenure, has said “the whole time he was here, he was running for governor.” Walker started preparing for a 2006 run for governor some two years after becoming county exec and ran again in 2010, when he won. “For eight years, the board was used to having free rein under Walker,” says one county insider. 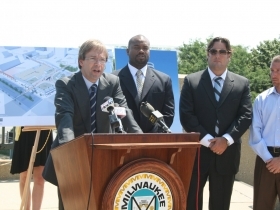 Thus, when Abele became county executive in the Spring of 2011, he faced a board that had more power — and was far more aggressive — than back in Tom Ament’s day. This summer, some board members were unhappy with how the developer was chosen for The Couture project on the lakefront, and suggested the board should have more control of the process. In May, Dimitrijevic attended a meeting of the Intergovernmental Cooperation Council of Milwaukee County and asked to have a vote alongside the 19 mayors and village presidents and County Exec Abele. This would have made her the only non-executive and only member not elected directly by voters (she is elected to her district only and won the board position through a vote of board members). Abele opposed it. Her bid was voted down narrowly. That’s clearly a minority view among board members, meaning there may be more challenges to Abele in the months to come. -If Abele is looking to build a better relationship with the board, he probably didn’t help himself yesterday. Before the announcement of a joint city/county partnership to save money by having the city police rather than the county sheriffs patrol the parks and lakefront, Mayor Tom Barrett ran the idea by Common Council President Willie Hines. But Abele said he hadn’t been able to connect with Dimitrijevich about the idea. -Even before this plan was announced, Sheriff David Clarke was on the air with his conservative champion, radio talker Charlie Sykes, to complain about the proposal. Given the plan’s estimated savings are $1.7 million, and given that Sykes has also been a supporter of Milwaukee Police Chief Ed Flynn, I wonder how much backing Sykes will give Clarke? -Old timers will remember when the board (as recently as the late 1980s) had a moderate-to-conservative, suburban majority that typically carried the day. The board today seems more liberal, with less suburban power, than we’ve seen in decades. -DA John Chisholm is hurting for prosecutorial staff and badly needs help from Gov. Walker, the man whose staff have been the subject of a John Doe investigation led by Chisholm. Wonder what his chances are of getting the funding? Gretchen Schuldt reports. Are there any legal roadblocks to just dissolving the MCSD and giving the funding to the various city/village departments in order to cover their load? I feel like it’s a completely unnecessary police force. Ideally, all of the police forces in the county could be rolled into the MPD. A combined Milwaukee Metropolitan Police Department would probably save quite a bit of money. But, I can’t imagine a lot of the (wealthy) suburbs would sign on to such a plan. There really needs to be some clarity as to the role of the Executive and the Board. I have heard Board members refer to their role as “legislative” and the Executive’s as “administrative” of the policy set forth by the Board. BUT then the Board tries to take as much of an administrative role as possible. See Agenda Item #2 for the next ECD committee – more power to the Board. Time and time again we see boards start to mess in the administrative affairs of the organization they represent. It is a recipe for disaster so many levels. We elect an executive to run the day o day operations of an organization and than the board second guesses them to a point of gridlock. Or in the case of our school board, the board presents the candidate of their choice and than they back stab him at every turn. I wonder if the so-called “antigovernment” government position of Walker lead him to care less about the craft of politics? Obviously Abele has a lot to learn. He is an amateur. Just because the old pros got us into trouble doesn’t mean that an experienced politicians who has been around the block a few times is a bad idea.